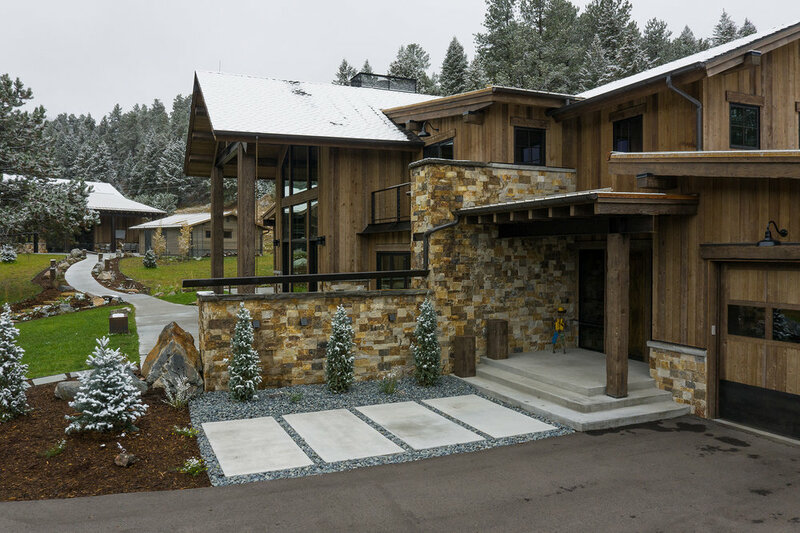 This beautiful custom home features our Cedar siding and Doug Fir timbers in mixed Vintage Gray colors for all siding, soffits, fascia, trim, interior ceilings, interior siding, beams, and trusses on both buildings. 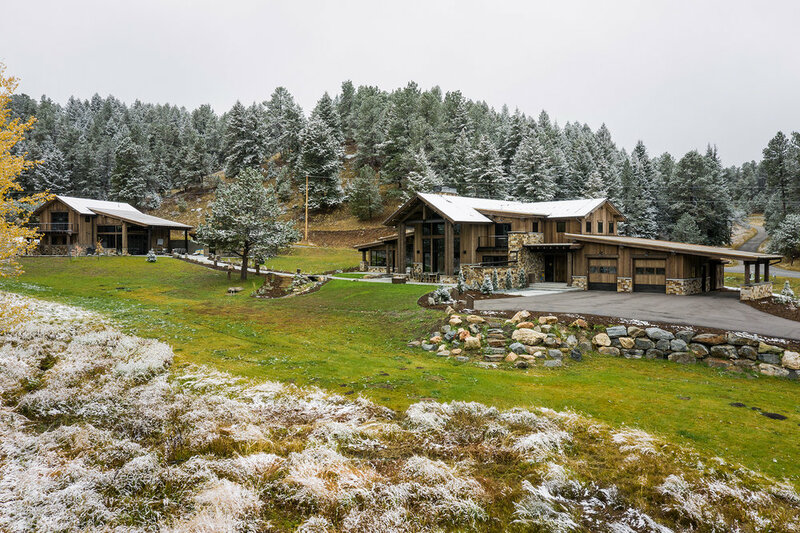 Set near Evergreen, CO, this home looks stunning without detracting from the natural beauty of the area. The natural processes used by Vintage Woods ensures that our materials look natural and complement the landscape. 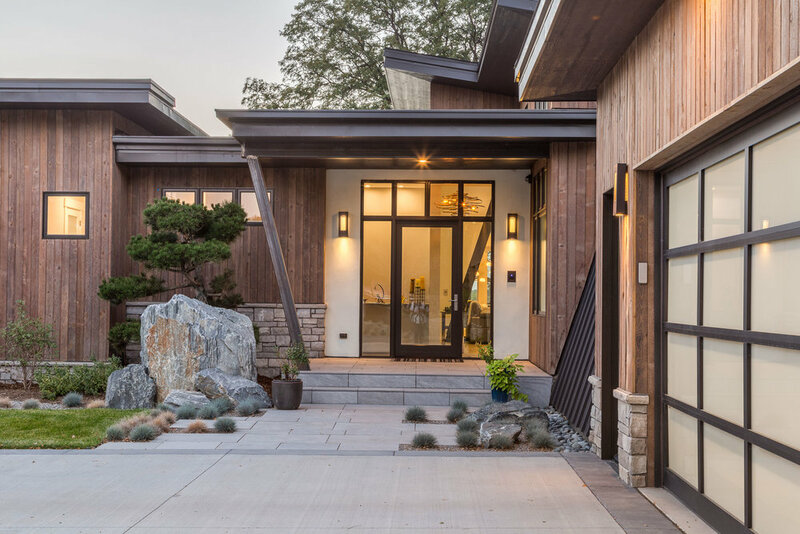 Built by Best Custom Homes and designed by Centre Sky Architecture, this home is sure to please any pallet. 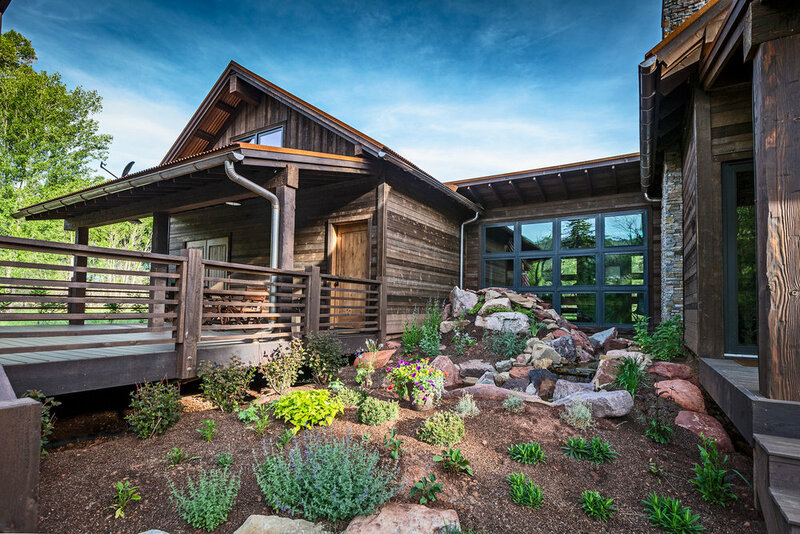 This unique home, built by Pinnacle, uses a creative mix of Vintage Woods colors. 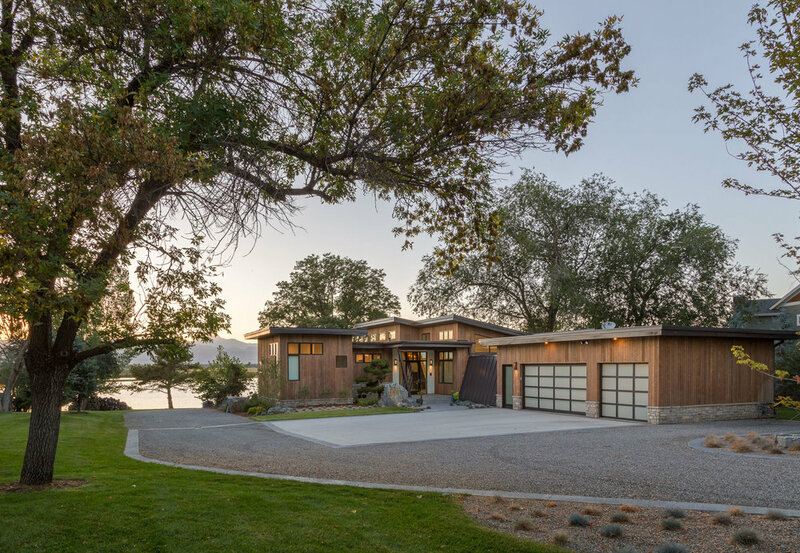 All in cedar, the garage doors are light Tobacco Brown installed horizontally and the vertical siding on the home is a mix of our Vintage Gray and Driftwood colors. By combining our natural colors in an uncommon way, this home has a truly custom look and feel. Beautifully photographed by Whitney Kamman photography and designed by Centre Sky Architecture, this stunning home is a step above the rest. This home features our light Tobacco Brown color for soffits, ceilings, and horizontal siding. They complement that with a custom mix of Tobacco Brown and Vintage Gray for their vertical siding. These gorgeous photos speak for themselves. This beautiful home is done is all SPF and a mix of all three of our standard colors. The Fascia is dark Tobacco Brown, the ceilings and soffit are smooth and a medium Tobacco Brown, the interior and exterior horizontal wood is a dark Driftwood color, and the exterior vertical wood is finished in a medium Vintage Gray. As you can see from this home, our all-natural custom colors blend and match well no matter how you mix them. 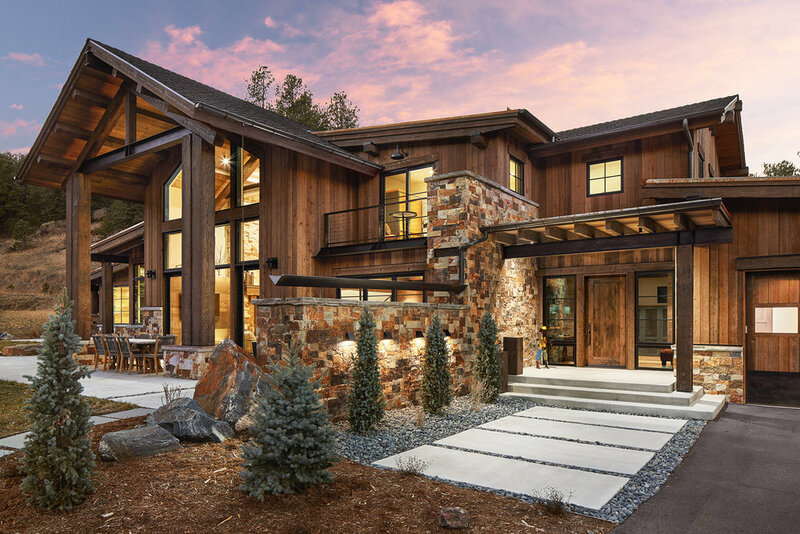 Located in the Aspen Valley, this striking residence is anchored by a combination of hand-hewn heavy timbers and hand hewn square-log siding in our Vintage gray mix. The square-log siding features our unique, interlocking corners for an amazing detail. 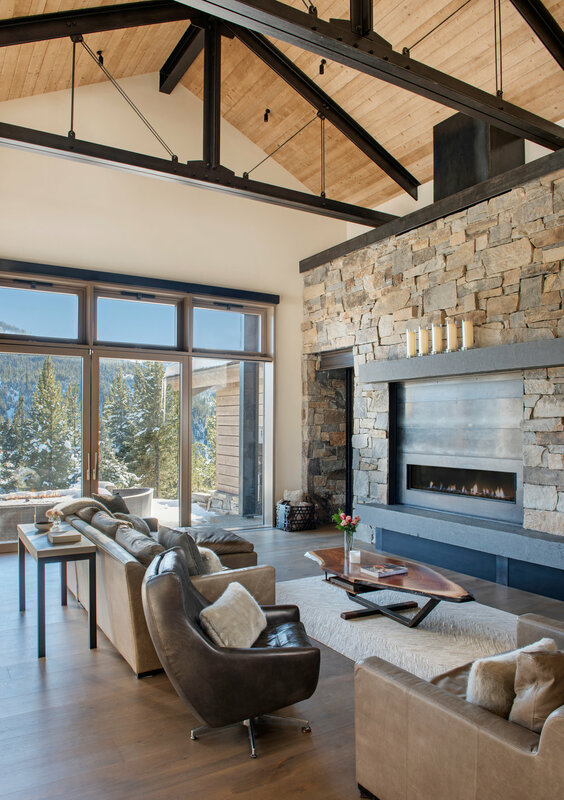 Designed by Mountain Resort Interiors. Photographed by Jay Goodrich. 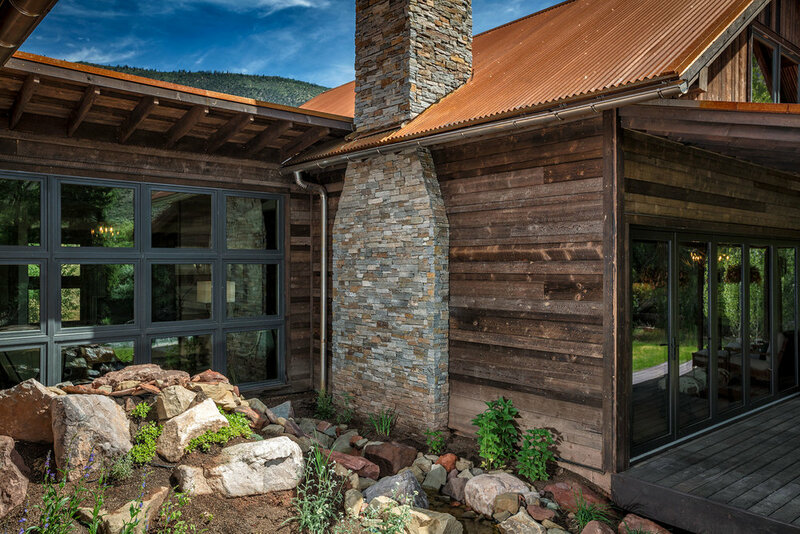 This beautiful home on the Eagle River in Colorado has a Vintage Black mix done on SPF for the exterior. 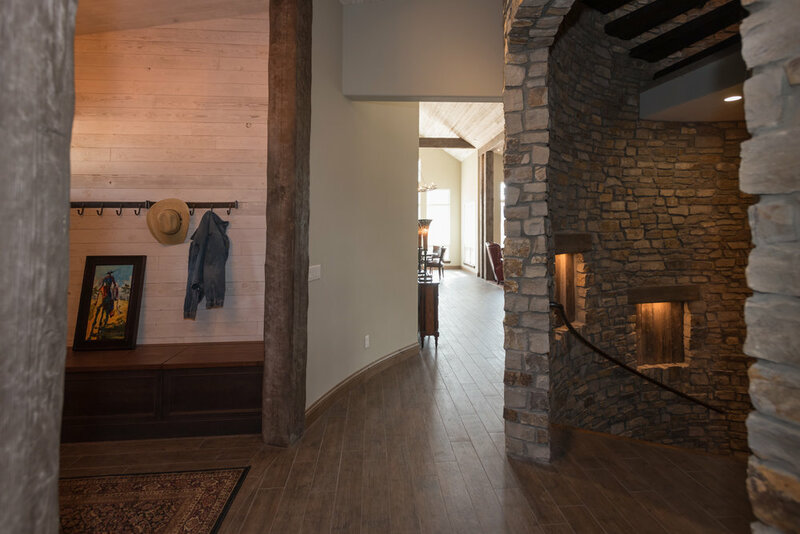 The interior is a mix of light and medium Tobacco Brown with medium Vintage Gray and was built by Beckett Custom Homes. A big thank you to the Architect on this project, Gabrielle Meola, for designing such a beautiful home. 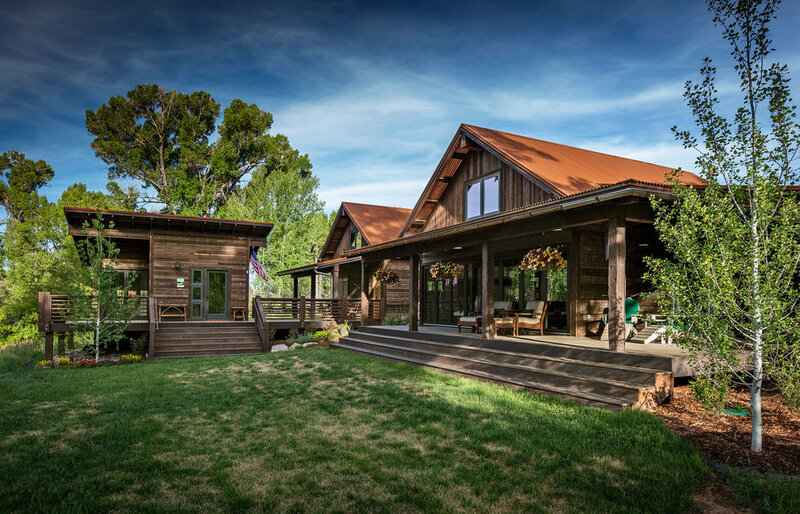 This beautiful home is made from our 1x6 SPF material in a medium tobacco brown. 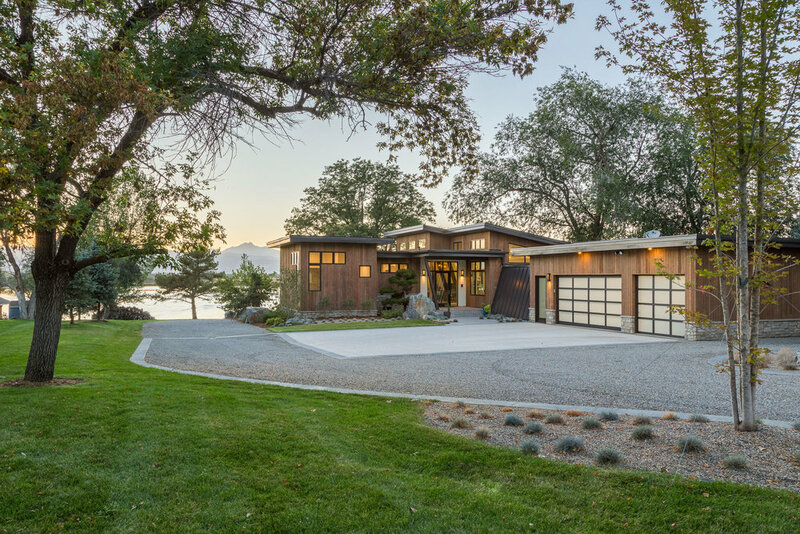 Designed by Red Pencil Architects and built by Feller homes, it stands in a league of its own. These wonderful photos were taken by Michael de Leon Photography. 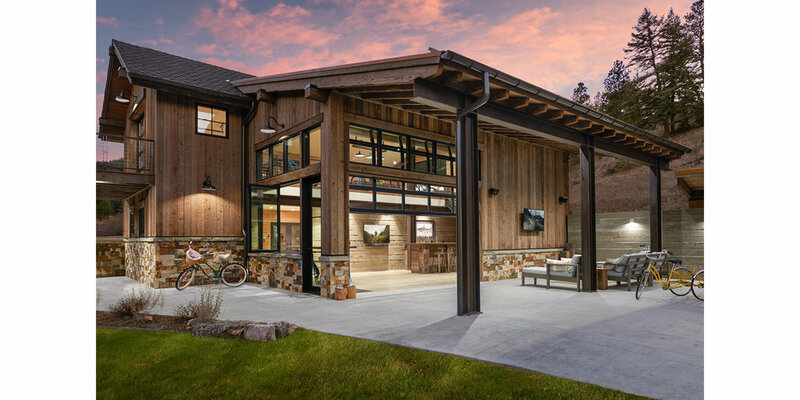 The final project in this "Big Sky Feature" is yet another beautiful residence designed by Centre Sky Architecture. 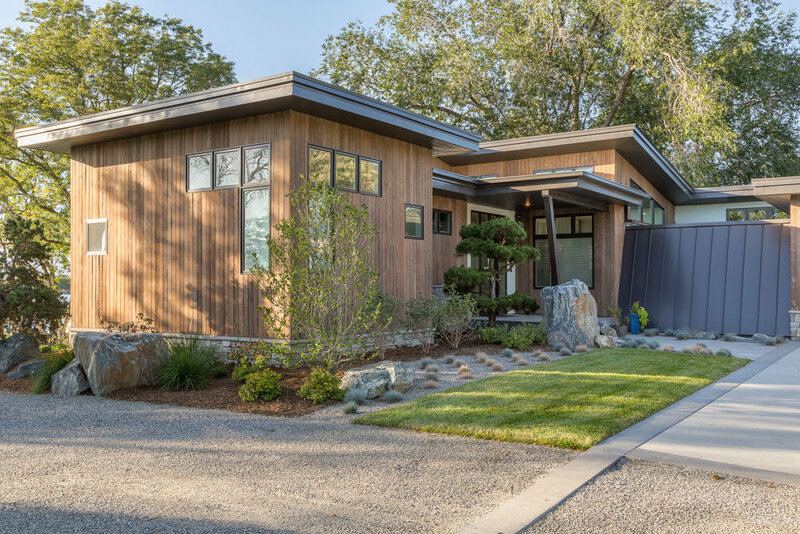 This project features both siding and soffit in 1x8 spruce with a rough texture, finished in medium Vintage brown. 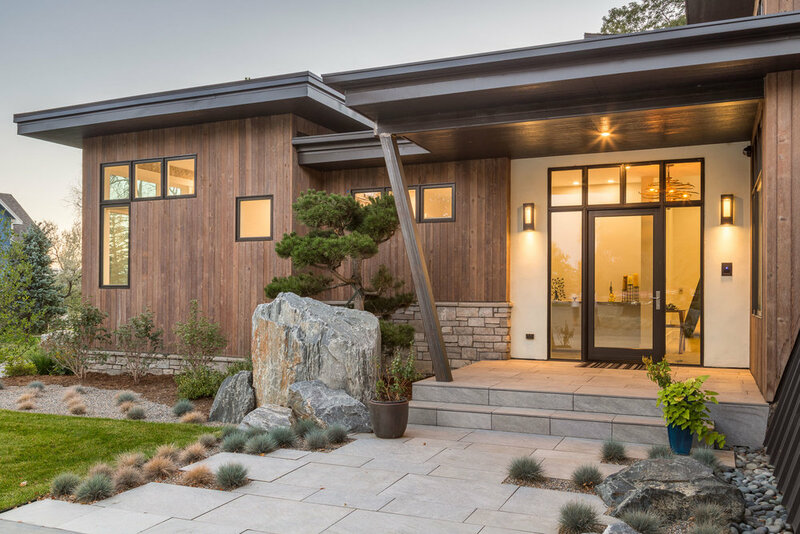 Built by Dovetail Construction, this home was photographed by Whitney Kamman Photography. 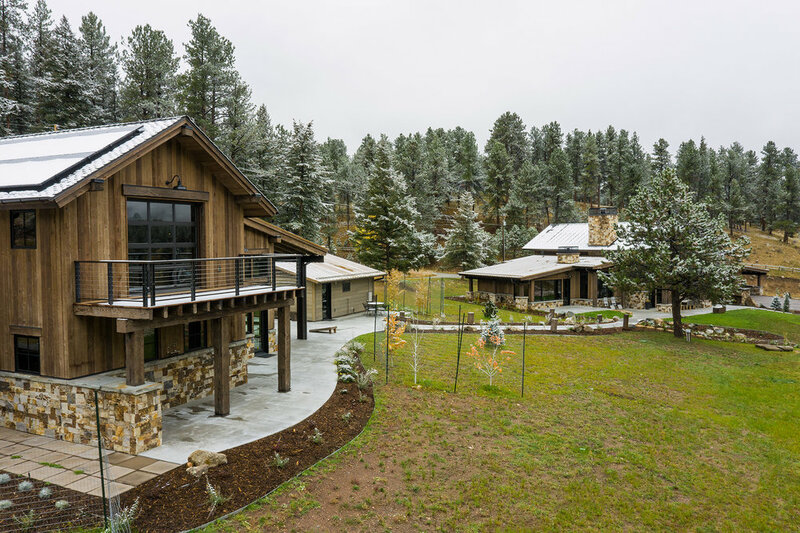 Along the peaceful banks of the Eagle River sits this beautiful custom residence. Designed by Gies Architects and built by Golf Resort Homes. 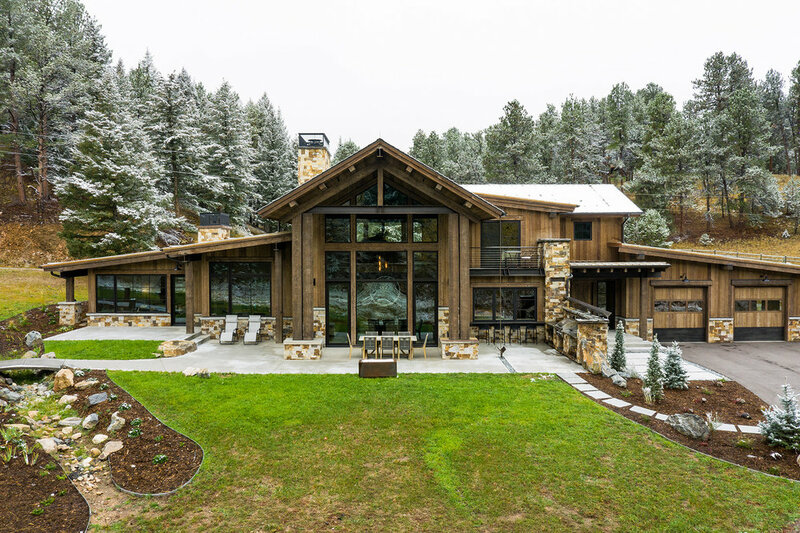 Inc. this lovely home features extensive applications of Vintage Woods including slab-siding, fascia, soffit, decking and some really incredible large custom-hewn timbers. 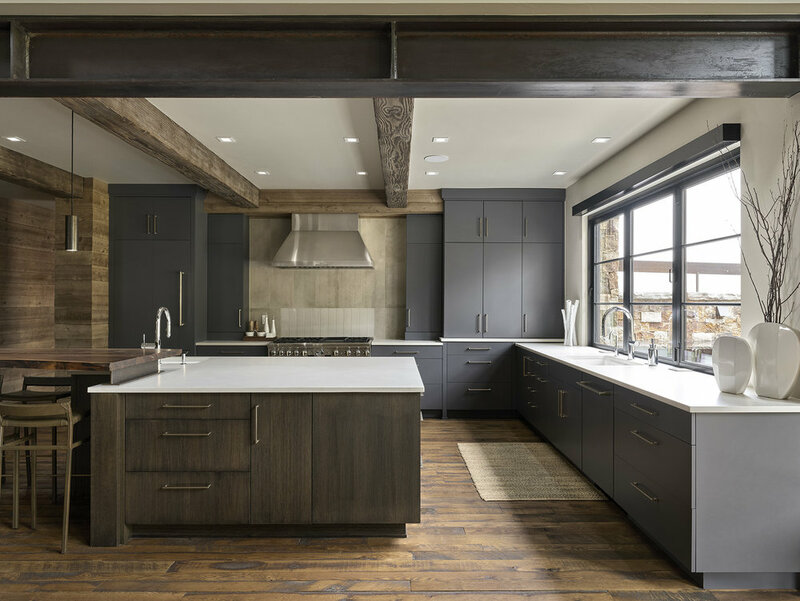 Staghorn features an awesome collection of hand-hewn heavy timbers in a combination of medium and dark Vintage grays with extra-texture. Siding is mixed-width spruce in both light and medium Vintage gray. Designed by TAB Associates. Built by Keep Construction. Photographed by Jay Goodrich. 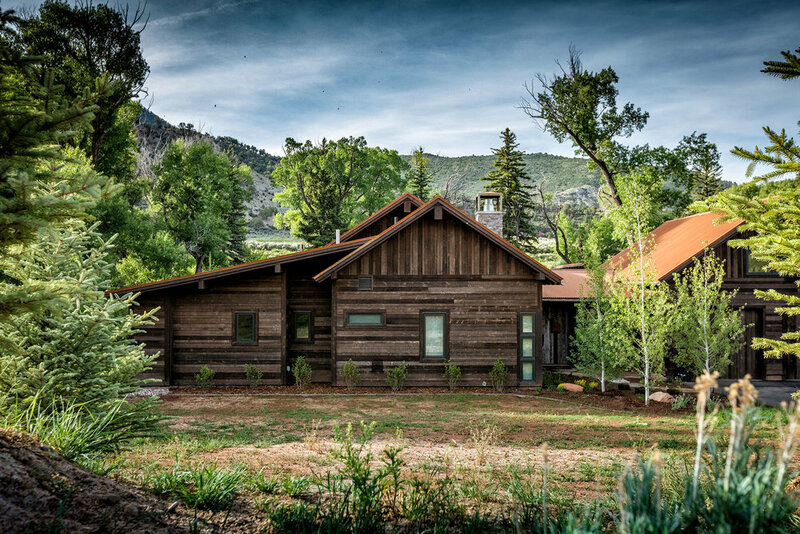 Located in Colorado's prestigious Cordillera community, this custom home features Vintage Woods random-width spruce vertical siding in mixed driftwood, 2 x 10 horizontal siding in dark vintage gray and timbers in dark vintage gray. 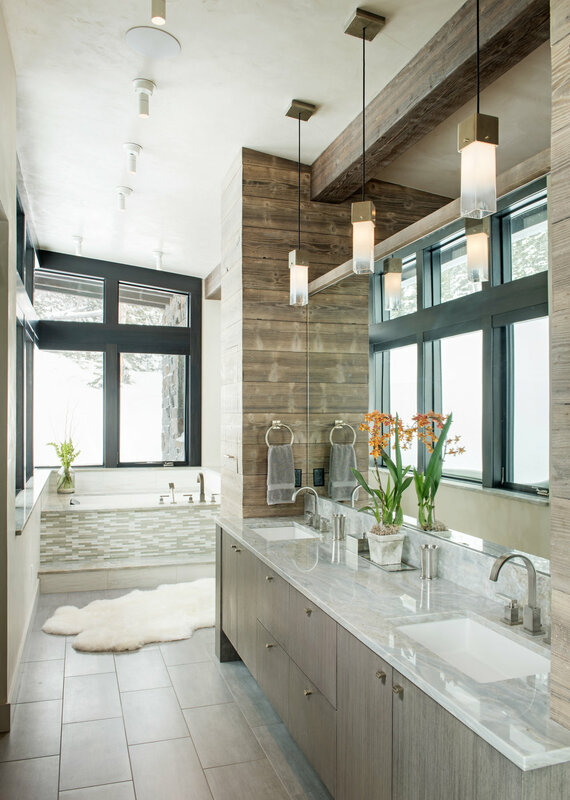 The colors and textures of the wood elements combine with the stone to create a wonderfully pleasing palette. Designed by architect Scott S. Turnipseed. Built by Golf Resort Homes, Inc. Photographed by Jay Goodrich. 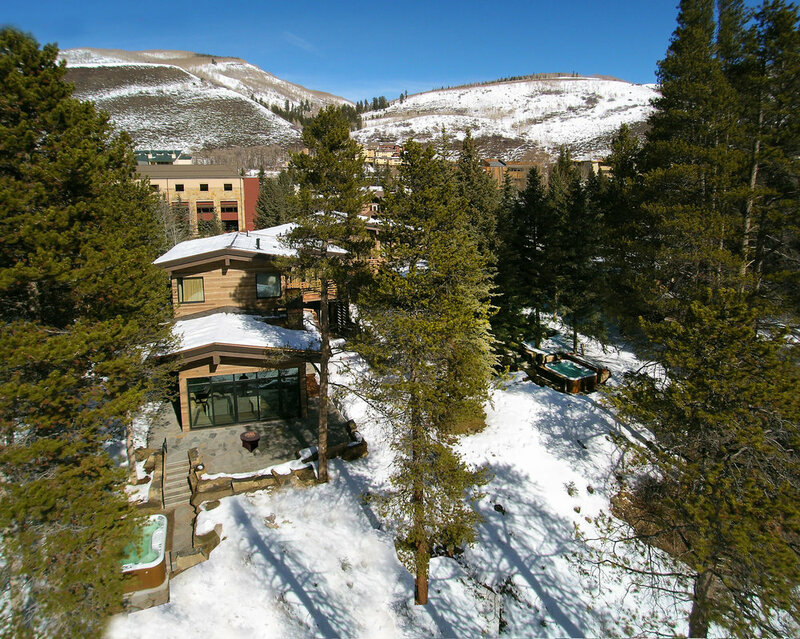 This fabulous custom residence sits on a hillside overlooking the Vail Valley. 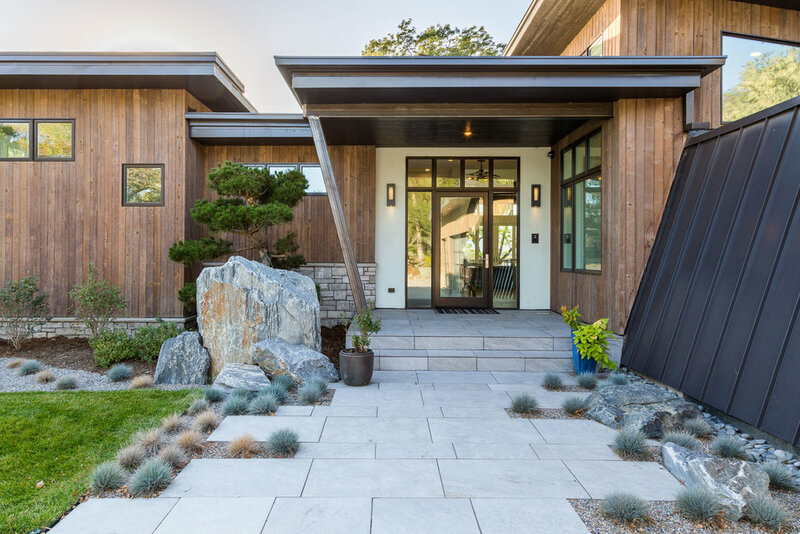 Utilizing 1 x 8 Vintage Woods spruce siding in both vertical (light tobacco brown) and horizontal (medium tobacco brown) orientations provide a pleasing visual. 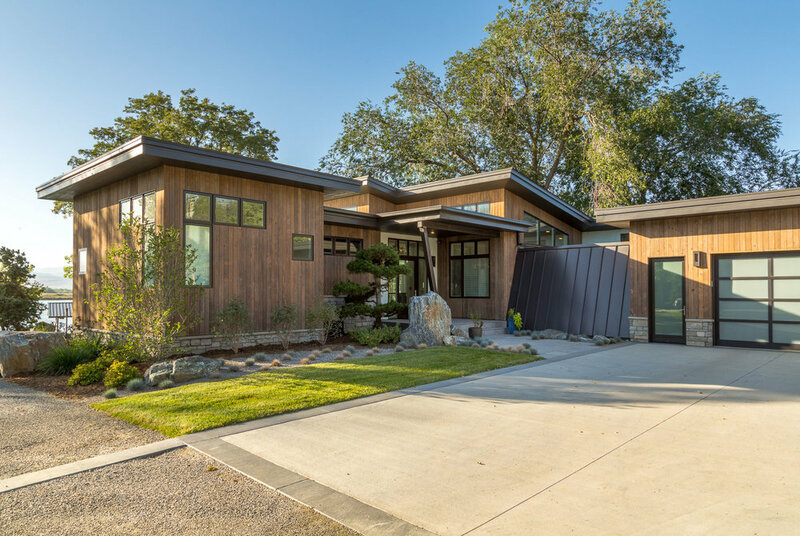 Designed by Berglund Architects and built by Sunder, Inc. Photographs by Jay Goodrich. Mockery Brewing is a new entry into Colorado's booming "craft-beer" scene. These local breweries are pushing the boundaries of design and materials, creating spaces as unique as their beers. 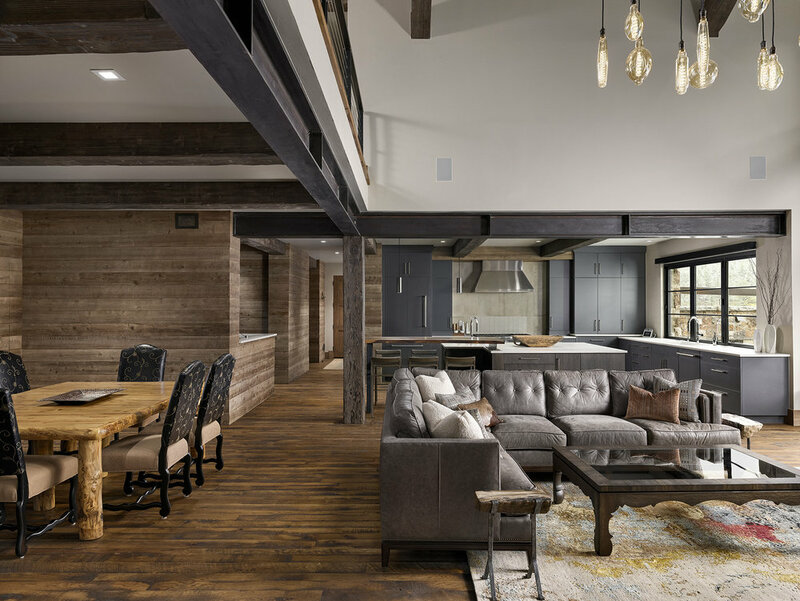 Path21 Architecture creates a wonderful mix of materials and textures in this project, seamlessly blending elements from industrial to rustic. In the shadow of Colorado's Spanish Peaks a ranch is revitalized. Designed by Faye Crowe Architect, LLC. 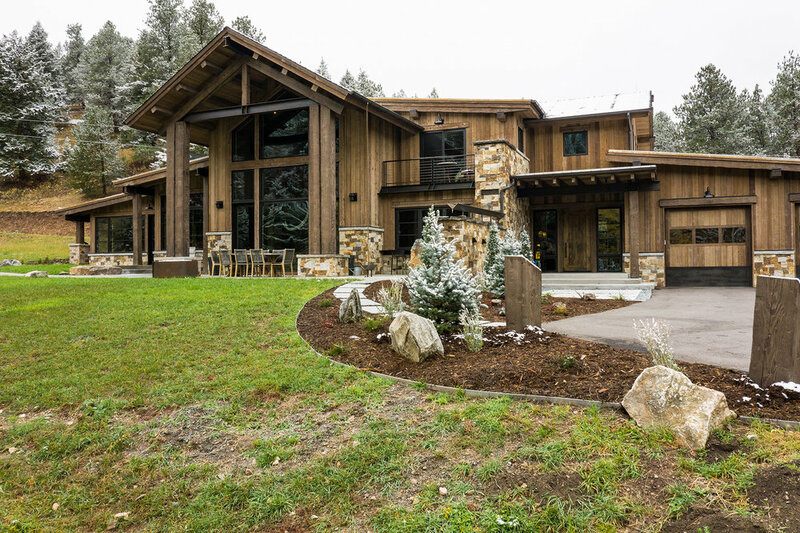 and built by Sunco Builders, this amazing custom home features Vintage Woods timbers, decking, fascia & soffit. The whitewashed interior decking and wainscoting add a wonderful backdrop to thoughtful design. 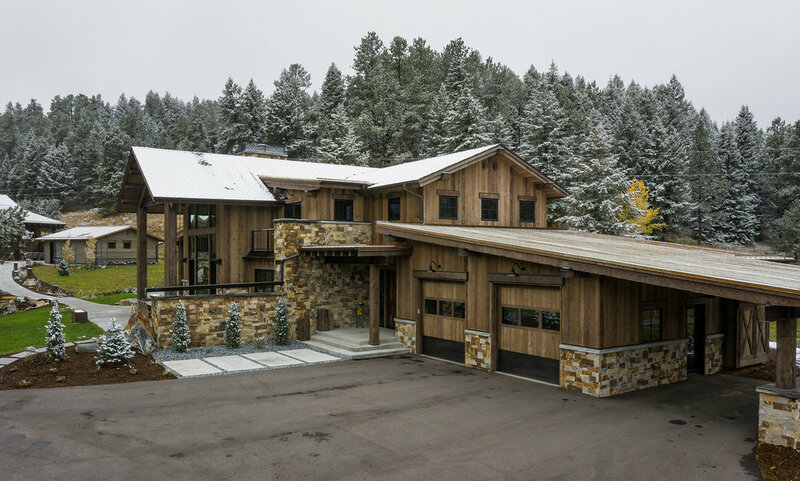 Our second feature out of Big Sky , Montana was also designed by Centre Sky Architecture and features 1x8 spruce siding finished in our medium driftwood, 1x8 spruce soffit in medium tobacco brown and a fabulous garage door in random width spruce also in medium driftwood. 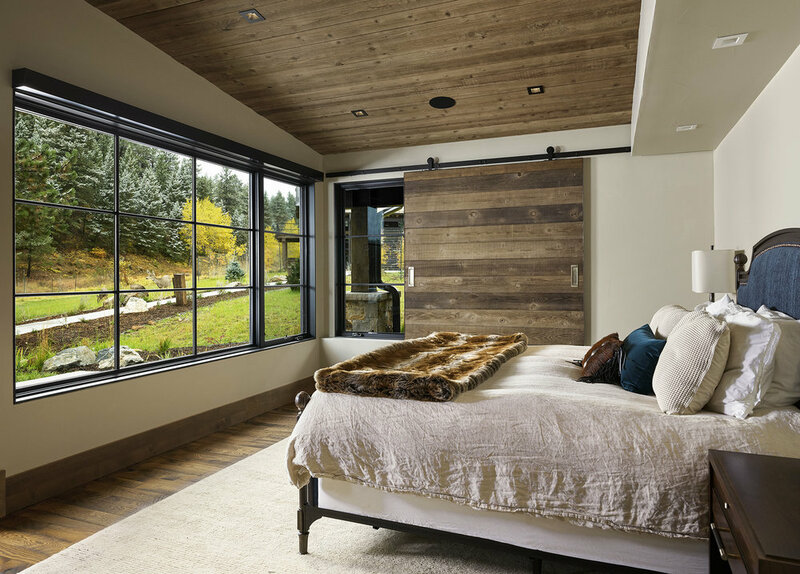 This project was built by Big Sky Build and photographed by Whitney Kamman Photography.